As a part of its Q4 2014 earnings report, Bank of America announced today that almost 800,000 of its customers are signed up to use Apple Pay. The U.S. bank says that customers have added approximately 1.1 million cards to the service since it launched in October. Bank of America was an initial launch partner for Apple Pay and has continued to promote Apple’s mobile payment service since that time. The bank has released several advertisements showcasing the convenience of using Apple Pay alongside a Bank of America credit card. 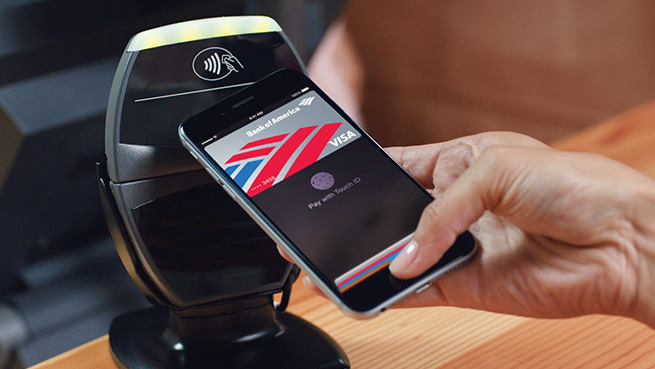 Apple Pay was introduced last year during Apple’s media event in September and debuted alongside iOS 8.1 in October. The service continues to see major adoption from both customers and retailers. Recent rumours are pointing to a Canadian launch this March.